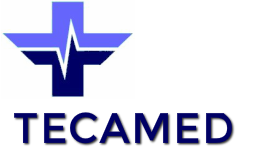 Based on a variety of clinical and practical experiences and the integration of novel theoretical knowledge TECAMED provides Human Factors Training in Aviation, Healthcare and Engineering and Facilitation of Educational Learning in Healthcare and associated areas. TECAMED supports the establishment and maintenance of the Safety Management Systems for aviation, which can be customised to the need of healthcare facilities. In addition, Specialised Clinical Services and Consultancy for certain Medical Disciplines are also available.